Low-cost airline Ryanair has announced a jump in profits but said passenger numbers will fall 10% this month as it grounds more planes this winter. The Dublin-based operator posted profits of 544 million euro (£467.5 million) in the six months to September 30, an increase of 20%, as a 13% rise in average fares helped it offset a 37% hike in fuel costs. The company is pulling 80 of its aircraft to reduce winter losses amid soaring fuel prices and expects traffic to fall 4% in the second half, with 500,000 fewer passengers flying in November. The strategy will improve its full-year profit forecasts by 10% to 440 million euro (£378.2 million), reflecting a boost to its margins. Ryanair, which has a fleet of 272 planes, said average fares rose as a result of a better mix of new routes and as competitors put up their prices in response to higher costs. Revenues were up 24% to £2.7 billion, while passenger numbers rose 12% to 44.7 million. Outspoken chief executive Michael O'Leary also hit out at BAA's decision to call for a judicial review into a ruling that it must sell Stansted Airport as "pointless". He said: "These delays allow BAA Stansted to continue to charge excessive fees and generate monopoly profits, even as Stansted's traffic declines from less than 24 million passengers in 2007 to less than 18 million in 2011." He called on the Competition Commission to end the "interminable delays" and force an early sale of the airport. British aid agencies have raised £72 million for drought victims in East Africa, the highest total ever for a food crisis. The Disasters Emergency Committee (DEC) launched an appeal in July after Ethiopia, Kenya, Somalia and the Republic of South Sudan suffered one of the worst droughts in 60 years. One hundred days since the appeal's launch, the total raised is the third largest in the charity's 45-year history. More money has only been raised by the tsunami earthquake appeal of December 2004 (£390 million) and Haiti earthquake of January 2010 (£107 million), the charity said. It is also the largest total for any African appeal, and the highest for one where conflict was a principle cause of a disaster. 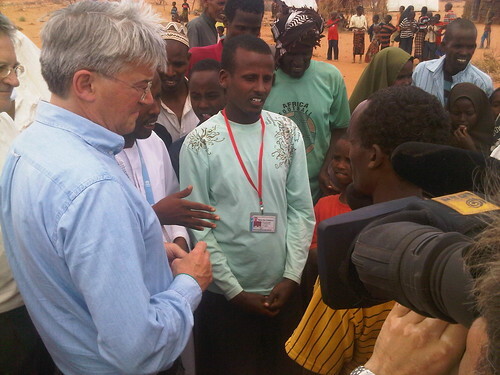 The disaster left more than 12 million people in need of food, water and emergency healthcare. 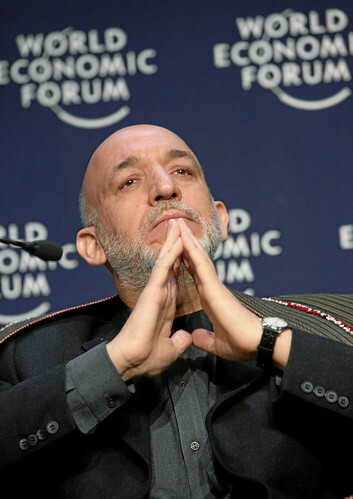 Afghan intelligence officials have broken up a cell which was plotting to kill President Hamid Karzai, arresting six people in Kabul whom they claimed were affiliated with al Qaida and the Haqqani militant group, it has been revealed. The cell included one of Mr Karzai's bodyguards as well as a professor at Kabul University and three college students, intelligence service spokesman Latifullah Mashal said. Mr Mashal described the cell as the "most sophisticated and educated group in Kabul" and said it had assisted Pakistani militants sent to the Afghan capital to carry out terror attacks. He did not say when they were arrested. He said the group, which was also allegedly planning attacks in Kabul, the US and Europe, were recruited by an Egyptian and a Bangladeshi based in Pakistan. Afghan officials have been increasingly vocal in publicly accusing Pakistan and its ISI intelligence agency of maintaining ties with militants, including the Haqqani group. Plans to allow women in Saudi Arabia to vote and stand for election in local polls has been hailed as a "significant step forward" by Foreign Secretary William Hague. He said the UK would examine the detail of the reforms announced by King Abdullah "and how they will work in practice". The changes, agreed with senior clerics, will come into force for elections in 2015 and arrive amid internal pressure in the deeply socially conservative country. Women's groups in the Muslim kingdom have also taken inspiration from the Arab Spring uprisings to openly defy a ban on females driving. "We refuse to marginalise the role of women in Saudi society and in every aspect, within the rules of Sharia," the king said. 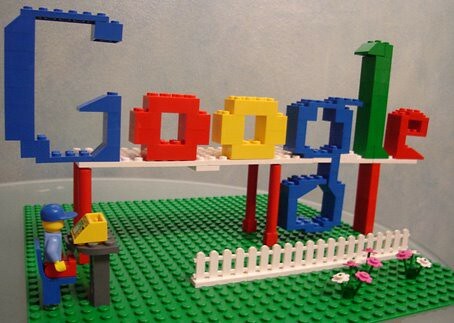 Google has opened up its Google Plus social network to everyone after testing it with a limited audience for 12 weeks. Google said in a blog post that it will now let anyone sign up for Google Plus. Nigeria's president vowed to bring terrorism "under control" as he visited the bombed headquarters of the United Nations in his country, a day after at least 19 people died in an attack claimed by a radical Muslim sect. President Goodluck Jonathan walked amid the debris left behind after Friday's attack in Nigeria's capital, Abuja. Mr Jonathan toured the shattered reception area of the building, where a suicide bomber crashed an explosive-laden car before detonating his bombs. He promised to address the threat posed by the sect known locally as Boko Haram, though so far his weakened government has been unable to stop the group from carrying out assassinations and bombings at will in Africa's most populous nation. "Boko Haram is a local group linked up with terrorist activities," Mr Jonathan told journalists gathered at the site. "As a government, we are working on this and we will bring it under control." The president did not elaborate on the statement as his aides hustled him off into a convoy of armoured Mercedes Benz sedans, police trucks and motorcycles. 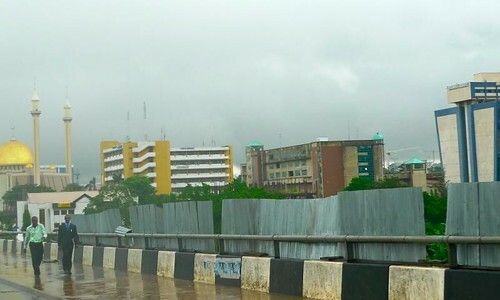 Security appeared tighter than normal in Abuja, about 550 miles from the country's megacity of Lagos. The Norwegian man who confessed to killing 69 people at an island youth camp has reconstructed his actions for police back at the crime scene. Police took Anders Behring Breivik back to the island of Utoya on Saturday for a hearing about the July 22 terror attacks. He shot the victims dead on the lake island near Oslo after killing another eight people in the capital with a bomb. The 32-year-old described the killings in close detail during an eight-hour tour on the island, prosecutor Paal-Fredrik Hjort Kraby told a news conference in Oslo. "The suspect showed he wasn't emotionally unaffected by being back at Utoya ... but didn't show any remorse," Hjort Kraby said. Images of the reconstruction published in the Norwegian daily VG show Breivik simulating shots into the water, where teenagers tried to escape from him. It would be "inconceivable" for Colonel Muammar Gaddafi to remain in charge of Libya, Prime Minister David Cameron has said. But Mr Cameron ruled out regime change, saying it was up to the Libyan people to decide "who governs them and how they are governed". The Prime Minister made his comments after he was asked by senior Tory MP Edward Leigh whether a deal could now be struck with the Libyan leader if he was prepared to implement a ceasefire. Mr Leigh said: "Would you confirm that our mission is entirely humanitarian and there is the genesis of a deal here if Gaddafi is just prepared to hold what he has in Tripoli and we could then achieve a compromise and an end to this war?" Mr Cameron replied that Gaddafi could "play his part" in helping the United Nations to enforce Resolution 1973, but in the end he would have to go. The Prime Minister told MPs in the Commons: "Britain's role is very clearly set out in UN Resolution 1973, which is to work with others to stop the attacks on civilians. "It is not about regime change, it is for the people of Libya to decide who governs them and how they are governed. "We have also always been clear that if Gaddafi declared a ceasefire where he was actually removing his troops from the towns and cities that he invaded, then clearly that would be playing his part in resolving resolution 1973. "Where I have always gone on and said I can't see a future for Libya where Gaddafi is still in place, is for the very simple reason that if you look at what this man has done over the last 100 days, is that although he has had every opportunity to pull back and put in place a ceasefire, all he has done is more shelling, attacking, murdering, sniping his own citizens." 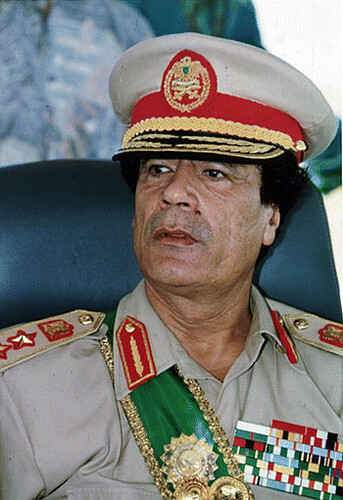 Foreign Secretary William Hague had earlier hailed the issue of an international arrest warrant for Gaddafi, saying it showed he had "lost all legitimacy". The eurozone's debt crisis poses the biggest single threat to UK financial stability, the Bank of England's new financial watchdog has warned. Despite the limited direct exposure of UK banks to debt in beleaguered countries such as Greece, the impact on nations such as Germany and France would have a knock-on effect and lead to a tightening of bank funding conditions. The minutes of the first meeting of the interim Financial Policy Committee set out a number of risks to the stability of the UK financial system, saying: "Sovereign and banking sector strains in some vulnerable euro-area economies were the most material and immediate threat to UK financial stability." Among recommendations, banks will be told to retain more of their profits as they face threats from the eurozone debt crisis and the possibility that homeowners may not be able to repay their mortgages. It said in the medium-term banks face a potential problem from the number of businesses and homeowners that are struggling to repay their loans or mortgages and warned that banks may have made inadequate provision for bad debts. The committee, which has been set up to oversee the country's financial stability in the wake of the credit crunch, advised banks to hoard more money during the good times to prepare them for any shocks ahead. Members discussed possible measures to limit dividends paid to shareholders or to rule that they are paid in newly created shares rather than cash to help banks build their capital reserves.